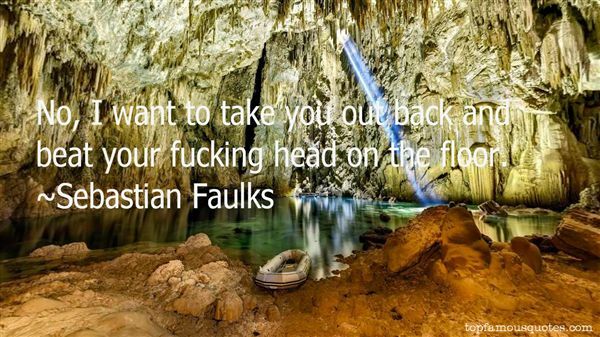 Reading and share top 90 Sebastian Faulks famous quotes and sayings. 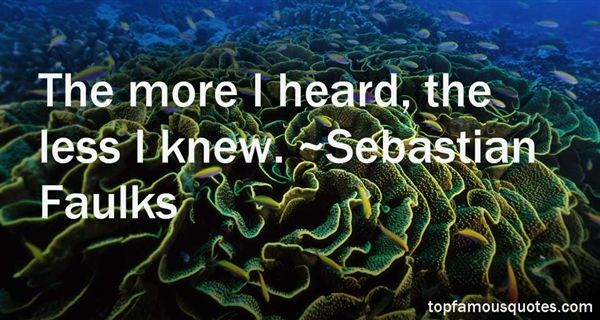 Browse top 90 most favorite famous quotes and sayings by Sebastian Faulks. To use the term 'clerk' as an insult is simply a banal vulgarity; Pessoa and Svevo, however would have welcomed it as a just attribute of the poet. The latter does not resemble Achilles or Diomedes, ranting on their war-chariots, but is more like Ulysses, who knows that he is no one. He manifests himself in this revelation of impersonality that conceals him in the prolixity of things, as travelling erases the traveller in the confused murmur of the street." 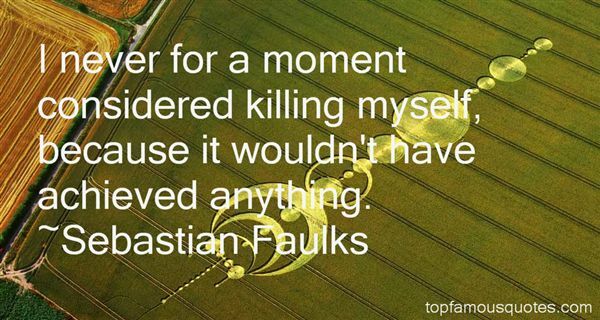 What Did Sebastian Faulks Talk About?